How To Get Rid Of Dark Underarms With Home Remedies Before Your D-Day? 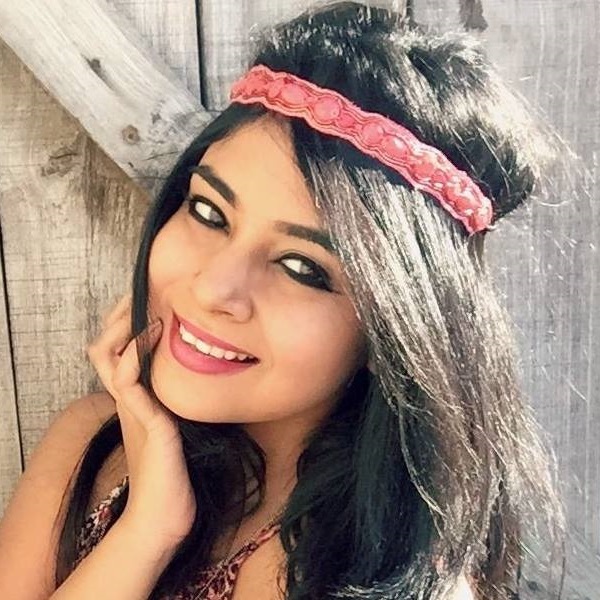 Is your lehenga blouse sleeveless? If so, you might want to make sure that your underarms look smooth, gorgeous and well-kept. While some brides prefer to book parlour appointments, there are a few who only swear by home remedies. If you fall under the latter category of brides, these packs will help beautify your underarms in the most natural way possible. Are you ready to learn how to get rid of dark underarms? 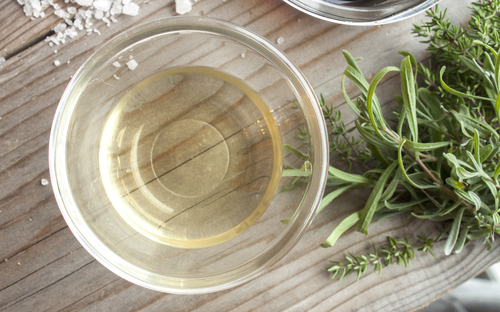 Here are 16 amazing home remedies for dark underarms. With these, you can totally flaunt those smooth underarms in your sleeveless bridal blouse! Wanna slay those sleeveless outfits with confidence? 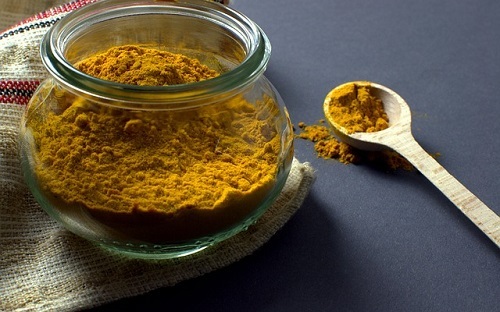 Here are some amazing home remedies for dark underarms. Have a look at the article to know the details. Do you know that milk contains fatty acids that help brighten dark underarms? And brides-to-be, that’s not all - it improves the texture of your skin and makes it soft and smooth. Plus, it is also an affordable beauty ingredient that is surprisingly beneficial for your skin. Step 1: Pour some milk in a bowl. Step 2: Add 1 scoop of plain yoghurt to the milk. Step 3: Use a spoon to blend all the ingredients well. Step 4: Apply the paste onto your underarms. Step 5: Don’t wash it off until 10-15 minutes are up. Number of times: Twice a week for a month. We urge you to not toss those orange peels into the bin. On the contrary, keep them in a container and allow them to dry in the sun. The peels have exfoliating and skin brightening properties. You should totally give this home remedy a shot and flaunt your smooth underarms on your wedding day! Step 1: Take a bunch of orange peels and crush them up. Step 2: Pour its powder into a bowl and add 1 tablespoon of rosewater and a few drops of milk. Step 3: Use your index finger to stir and make a paste. Step 4: Apply on your underarms and massage that area well. Step 5: Wash it off after 30 minutes. Number of times: Thrice every alternate week. 3. Have You Tried Coconut Oil Yet? Vitamin E is known to help brighten skin. Fortunately, coconut oil is abundant in Vitamin E. In other news, coconut oil also works as a natural deodorant! That’s pretty cool, right? Step 1: Heat some coconut oil. Step 2: Apply on your underarms and leave it to soak for about 20 minutes. Step 3: Once time’s up, wash that area using mild soap. Step 4: Use a towel to pat dry after. Number of times: Thrice every month. When used as a beauty ingredient, cucumber makes for a cooling snack for your skin. The green vegetable has natural bleaching properties and improves the texture and colour of skin. Isn’t that just what a bride-to-be would want? Step 1: Slice a cucumber and mash it up. Step 2: Add 1 teaspoon of lemon juice and sprinkle some turmeric powder over it. Step 3: Slather the pulp on your underarms and wait for 45 minutes. Step 4: Once it hardens, wash your underarms with lukewarm water. Number of times: Every alternate day for two weeks. Not a big fan of coconut oil, why don’t you try olive oil instead? 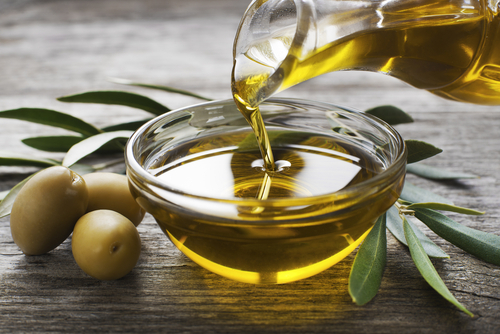 Packed with antioxidants, olive oil keeps the skin moist and supple. It kills odour-causing bacteria and brightens underarms if used often. Step 1: Take a cup of olive oil. Step 2: Add 1 tablespoon of brown sugar to it. Step 3: Wash your underarms with water and then apply the oil. Step 4: Leave it on for 10 minutes and head in for a shower after. Potatoes are easily found in every Indian kitchen. While they taste delicious, your skin benefits from them too. 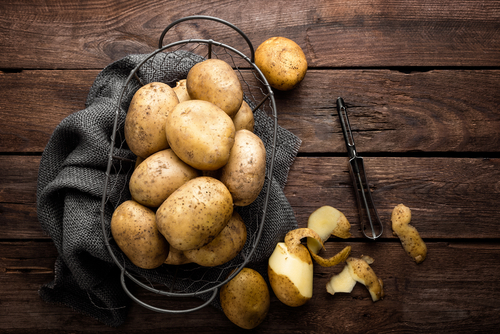 In fact, potatoes contain a mild acidic property that helps brighten dark patches skin. Try it, soon-to-be brides, and you won’t be disappointed. Step 1: Slice a potato into half. Step 2: Take the wet slice and rub it on your underarms. Step 3: Allow the juice to stay on for 15 minutes. Step 4: Wash it off with chilled water once time’s up. Number of times: Once every week for two months. An apple a day keeps the chemical products away, we say! 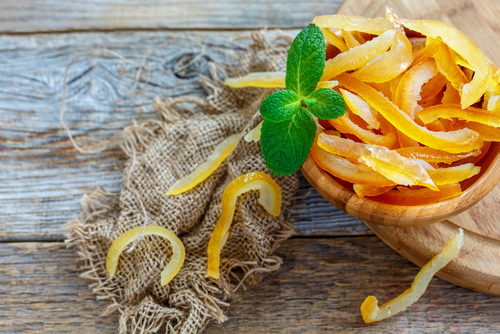 The slices not only help in exfoliating the skin but also kill germs and bacteria like a pro. It’s like a natural beauty product that improves and brightens dull skin. Step 1: Peel two apples and mash them up. Step 2: Scoop the paste with your hands and apply to your underarms. Step 3: Massage and scrub well. Step 4: Wash it off after an hour or so. Number of times: Thrice a month. 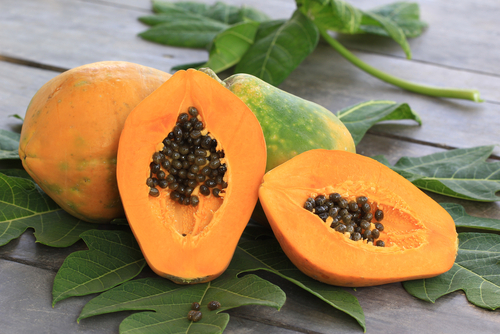 Papaya pulp tastes delicious and also is packed with enzymes that help colour correcting your skin tone and exfoliating it at the same time! Now, which bride wouldn’t like that?! Step 1: Take a piece of freshly diced papaya. Step 2: Rub on both underarms and apply the papaya juice at the same time. Step 3: After 20 minutes, wash the paste off with cool water. Number of times: Twice a week. For itchy and dull underarms, honey is always the best solution. Loaded with anti-bacterial properties, this gooey, golden syrup has a soothing effect on the skin and brightens dull underarms when used regularly. Step 1: Take a bowl of honey and add 1 tablespoon of fresh lemon juice. Step 2: Use a spoon to stir both ingredients. Step 3: Apply the paste on your underarms. Step 4: Wait till the honey thickens and hardens. Number of times: Four times a month. Brides-to-be, whether you have a body odour problem or dark underarms, vinegar will sort all your skin woes out. It kills bacteria and cleanses underarms from layers of dead skin cells. Thus, making them look smoother and lighter. Step 1: Make a paste of rice flour and vinegar. Step 2: Take a steamy, hot shower. Step 3: Once you step out, pat dry and apply the paste. Step 4: After 35 minutes, use a warm damp towel to clean off the paste. Number of times: Once every week for a month. Aloe vera gel helps to lighten the pigmentation as it is an enzyme and is a tyrosinase inhibitor as well. 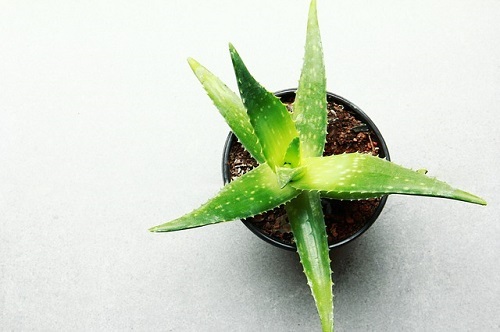 Also, aloe vera gel is antibacterial that helps to sooth the skin naturally. Step 4: After 10-15 minutes rinse your underarms with water. Number of times: Repeat the process every alternative day. Step 2: Apply the paste on your underarms. Bicarbonate of soda scrub with coconut oil helps to lighten the pigmentation. In place of coconut oil, you can even use fresh lemon juice or apple cider vinegar. Number of times: Once a week. 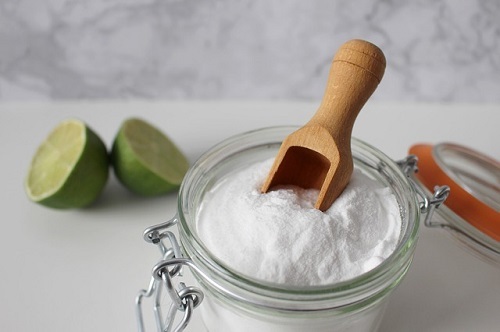 Baking soda is an amazing exfoliator that you can use as a scrub which will surely help to unclog the pores and is a perfect dark underarms treatment. Number of times: Three to four times a week. Multani mitti (Fuller’s earth) is a natural home remedy that acts as an exfoliator to lighten the dark armpits and works as an amazing dark underarms treatment. Toothpaste for dark underarms is an amazing remedy that surely works for most of the people. Have a look at the procedure of using toothpaste for dark underarms. There are various causes of dark underarms, from using harmful and harsh chemicals like hair removing creams, antiperspirants etc) to doing shaving, All such reasons are the causes of dark underarms. Many of us are not aware of it, but pregnancy can also be the reason for having dark underarms, though it clears out itself after a few months. Given below are some possible causes of dark underarms. Diabetes is one of the reasons for having pigmented underarms as the elevation of insulin level can cause skin darkening. The bacterial infection, erythrasma is known to darken the underarms with its ill effects. Too much shaving leads to ingrown hair that makes the area look dark. This story was updated in March 2019.